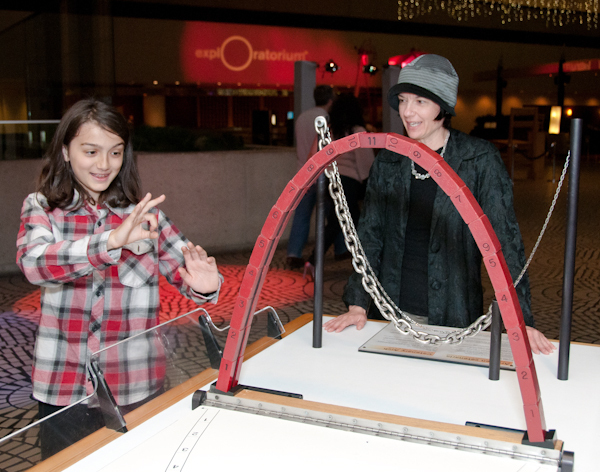 As a continuation of the hotel’s popular “Hyatt Culture Club,” Hyatt Regency San Francisco will be hosting Exploratorium interactive exhibits for guests of all ages to play and tinker with in its lobby from July 2 through September 30. Hyatt Regency San Francisco’s “Hyatt Culture Club” consists of a variety of over-the top, quarterly lobby displays and interactive exhibits from featured cultural icons, artistic entities and popular attractions in the Bay Area. Boasting North America’s largest atrium lobby, of over 42,000 square feet, the Hyatt Regency’s interior is bigger than life and the hotel has become a popular host to some of Northern California’s most beloved pastimes. In addition to the featured partner for Q3 2012, the Hyatt Regency San Francisco’s will also re-introduce the popular Department 56 Snow Village display during the 2012 holiday season.